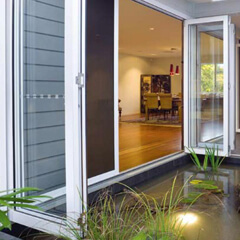 Searching online for sectional garage doors Perth residents have been raving about? 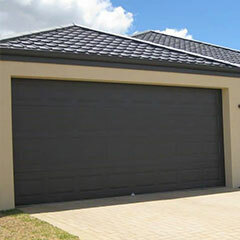 Sectional garage doors offer the greatest degree of aesthetic adaptability for your properties in Perth and beyond. At Aus-Secure, our sectional doors are made from large panels that store horizontally along the ceiling when open, and come in a wide range of designs and colours. In need of sectional garage doors that are both stylish and sturdy? 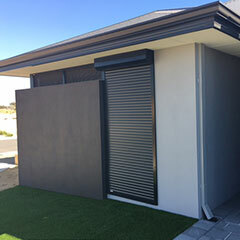 Aus-Secure, the leading provider of home security products and electrical services in Perth and Mandurah, offer sectional doors that are guaranteed to both function beautifully and complement your home. Our sectional garage doors are made from large panels of the highest quality, utilising the latest technology and adhering to the highest standards. 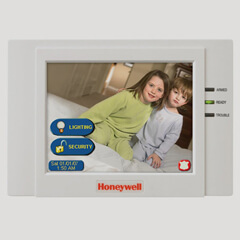 Every single door is custom made to fit your opening precisely, and has the option to be automated. 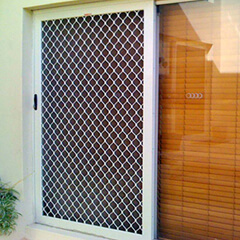 As one of the leading sectional doors suppliers in Perth, we use only Australian-made BlueScope steel and feature a finger-safe design, that ensures young children are safe. GDO 9 Dynamo strikes an excellent balance between functionality and affordability with features including an 800N motor on all new wheeled trolley system. With low noise and economical steel C-Rail, the feature rich GDO-9v3 Dynamo is great for retrofits and upgrades. Each sectional garage door is custom-made to fit your opening precisely and can be automated. Aus-Secure’s sectional garage doors come in a wide range of designs and colours, providing you with a vast array of options. You’re sure to find a sectional door that will perfectly suit the look of your property, whether you’re searching to complete a sleek and modern look, a stark industrial look, or something that has a bit more kitsch. 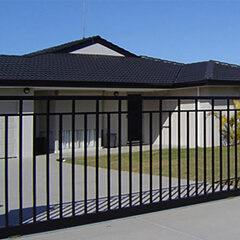 Call Aus-Secure today on (08) 9337 5770 (South) or (08) 9350 6401 (North) to enquire about our sectional doors and to learn more about our complete range of quality security products and electrical services.